Vegetable Glycerin 99.7% USP Grade In Hamilton/The Brew Time Vaper Flavours FREE SHIPPING! Shelf Life: Vegetable Glycerine has a shelf-life of 1 -2 years. Our Vegetable Glycerine is a Kosher product derived from palm, and it is GMO-free and allergen-free. Glycerine is the result of a sophisticated extraction method called hydrolysis. This system is based on the fats and oils of a raw product (typically palm or coconut) that are then split into crude glycerol fats, under the combined action of water, temperature, and pressure. These temperatures can exceed 400° degrees and the material is usually kept under pressure for 20-30 minutes. What is actually occurring is a sort of counter-flow where the water absorbs glycerol from the fatty acid phase of the oil production. After this phase, this glycerol is isolated and further distilled to give buyers a standard 99% Glycerine product. Vegetable Glycerine is a clear, colorless, and odorless viscous liquid. It is used as an agent in cosmetics, shampoos, soaps, e-liquid, and other household items. Because it is soluble in both, water and alcohol, its versatility is a major benefactor in its purported growth and popularity within the manufacturing sector. It is invaluable as a natural source ingredient with emollient-like properties which can smooth and soften the skin and it assists the skin surface to retain moisture. This helps to explain why it is one of the most popular cosmetic additives used today. Vegetable glycerin is produced using an extraction process called hydrolysis. During hydrolysis, oils are placed under the combined force of pressure, temperature, and water. The ester bond breaks and causes the glycerin to split from fatty acids and be absorbed by water; at which point the resultant is further isolated by distillation to increase purity. Purified vegetable glycerin has a texture similar to an oil or syrup due to its organic molecular makeup, specifically, three hydroxyl groups. Vegetable glycerin used in food applications is USP grade or over 99% pure and has a sweet taste. 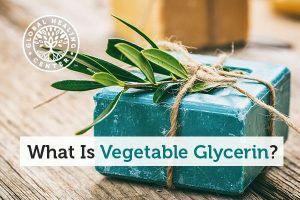 Vegetable glycerin metabolizes differently than sugar and is used in low carbohydrate foods for sweetness and moisture. Unlike sugar, glycerin does not contribute to tooth decay. The safety of vegetable glycerin coupled with its functional properties has made it invaluable for various medical applications. The hydrating effect of glycerin makes it ideal as a topical remedy for burns. Glycerin is also used in the production of suppositories. A good source to look for is a USP grade, non-GMO, allergen free, kosher certified vegetable glycerin. The best, absolutely the best. Placed my order, it was checked and confirmed and the next day it was ready for pickup. No problems, no hassles fair pricing, and excellent customer service. Just wished all the vendors I dealt with followed Chris' lead in keeping his customers satisfied. Product lasts for quite a while and I’ve been able to make loads of ejuice with it. Also great to add into bubble mixtures for fun w the kids.